​The first gold rush in Oregon occurred shortly after the discovery of gold at Sutter’s Mill in California. Prior to the first documented gold discovery in Southwestern Oregon, the region was basically uninhabited with the exception of Native Americans, a few fur trappers, and prospectors traveling through the region on their way to the famous Mother Lode Country. While reports of gold in Oregon date as early as 1850, it was during the winter if 1852 that rich gold deposits were discovered by a group of sailors originally headed for Crescent City, California. They area came to be known as “Sailor Diggin’s” in the Illinois Valley. Within two years an eleven mile long ditch was constructed to provide water to work the rich placer ground in the area. Soon rich placer deposits were discovered in all three major river drainages of Southwest Oregon; the Rogue, Applegate, and Illinois River all contained rich deposits, along with thousands of miles of creeks that fed the major river systems. Althouse Creek, one of the richest areas in the region, was said to have been prospected by over 10,000 men for the first decade after the initial discovery of gold there. Many of the miners to explore the region were men who had come to Northern California a few years prior, but arrived too late and were unable to find rich ground that had not already been claimed. It was soon realized that the extent of the goldfields in Southwest Oregon was significant. Nearly every drainage from north of the California border inland for over 50 miles contained gold. Even rich beach placers were discovered in the sands along the coast south of Coos Bay, Oregon. 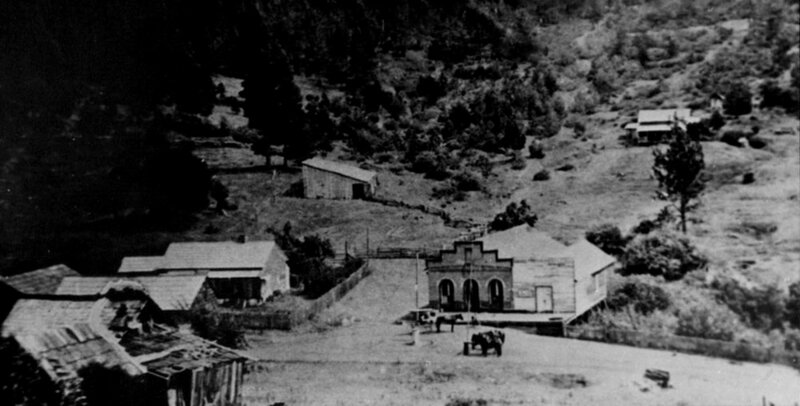 Although the area was always best known for the rich placer gold deposits in the creeks and rivers, in the following decades after the initial strike many lode deposits were mined. The gold districts of Southwest Oregon became well known for their extremely rich “pocket-gold” deposits, where many pounds of gold were discovered throughout the region in isolated locations.